Leaks show the new handset in the making to be ready for the Indian market with India-specific camera features. 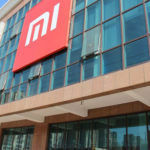 Rumour mills are working overtime presently to decode what’s going on in the flagship smartphone arm of Chinese phone maker Xiaomi. 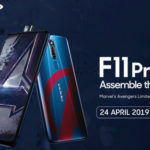 The latest buzz is about a newly decoded flagship product of the company, which might just arrive in India alongside other flagship products in the making. So, let’s take a look at what’s going on there. Currently, we know of three flagship phones that Xiaomi is to launch in India. These are the Xiaomi Mi 8, Xiaomi Mi 8 Explorer Edition, and Xioami Mi Mix 2S. All three of them are powered by the Qualcomm flagship Snapdragon 845 SoC, the fastest chipset by Qualcomm yet. Now, tech geeks have found a new Xiaomi flagship smartphone running on the same chipset, codenamed Beryllium. The new product is said to sport an LCD display with 18:9 aspect ratio and a small notch at the top, with a fingerprint sensor going to the rear. It will come without an expandable memory and will be powered by the Adreno 630 GPU paired to the Qualcomm Snapdragon 845 octa-core SoC. Of course, the Beryllium as all the other flagship phones will run the MIUI 10. We also know that the smartphone-in-the-making has a large battery of 4,000 mAh and that it will run the latest Android 8.1 Oreo operating system. There will be a dual rear camera plus a front shooter, and the main camera will come with optical zooming features. Like most flagship smartphones today, the Beryllium will also provide NFC wireless connectivity. As of now, there is no leak about the pricing or other details of the phone. 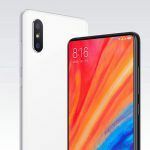 However, there is a ‘POCOPHONE’ brand that Xiaomi has been working on, and the Beryllium device is speculated to be the first flagship smartphone to debut under Xiaomi’s newly trademarked POCOPHONE brand. 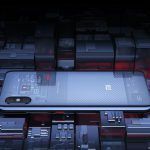 Xiaomi Mi 8 and the new flagship arriving in India soon? There is a good reason to believe that the new Beryllium flagship will make its way to India and soon. Xiaomi’s new IPO move has not yielded great results and Samsung is pushing hard to increase its business and monopolize the Indian phone market. 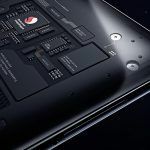 The Xiaomi flagship phones Xiaomi Mi 8 and Xiaomi Beryllium, as we know it, for now, have no better market to foray into, as the smartphone buyer base is on a rapid rise here. Plus, the leaks have shown that the Beryllium device has a local and global firmware branch already, so the product is to make its local and global debut simultaneously. There also have been leaks showing the Beryllium handset’s camera app to have two specific India filters, which makes it obvious that the device is being made with a distinct version for the Indian market. Speculation is also rife that the new Beryllium device might make its debut in India alongside or quickly following the upcoming Xiaomi Mi 8 flagship model. The Xiaomi Mi 8 is expected to launch late in July at a price tag of Rs 24,500, quite lucrative for a product of this specifications range. 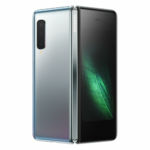 It packs a bezel-less 6.2-inch Full HD display with a 20MP front camera, the first to be so strong in this price range. The rear dual camera comes with LED flash and 12MP+12MP sensors and the front and rear cameras both come with night-time video shooting and artificial intelligence features. The 3,400 mAh non-removable battery comes with fast charging support and the connectivity features include dual SIM with 4G + VOLTE support, Wi-Fi 802.11 a/b/g/n/ac, Type-C charging and Bluetooth 5.0. The device comes in a standard 6GB+64GB RAM and memory variant and boots Android 8.0 Oreo OS. The handset is expected to be offered in gold, grey, black and silver colours in India.